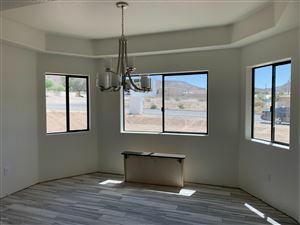 View all ACTIVE Havasu Foothills Estates Listings! Rise above it all and discover the best of Lake Havasu City. The beauty, the tranquility, the freedom to breathe—you’ll find them all at Havasu Foothills, a new master-planned community now taking shape on the eastern edge of Lake Havasu City. Where Cherry Tree Boulevard ascends toward the mountains, Havasu Foothills unfolds with room to build your dream home. Estate-sized lots of up to 2 acres offer privacy and a breathtaking panorama of lake and mountains. Select one of our hacienda-style model homes, or have your home custom-built by one of our builders. Hiking trails weave through the community, naturally connecting neighborhoods with the amenities of the planned town center shopping, dining and a fitness and wellness center with pool and tennis courts.